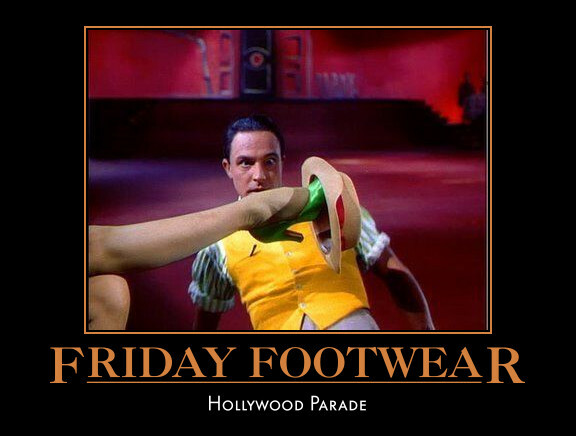 Gene Kelly comes face to foot with Cyd Charisse, “Singin' in the Rain,” 1952. Glamour depends on mystery, the art of concealment. Hollywood stars of the past and their handlers understood that to maintain the image projected on the screen was a full-time job. Hard working stars like Joan Crawford never appeared in public less than impeccably turned out. Even at their most casual, Hollywood stars of the golden age projected an aura of easy elegance. 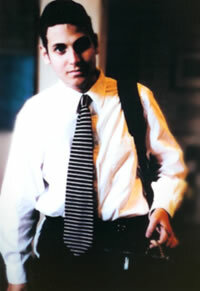 The other day I was shopping in Brooks Brothers on Rodeo Drive. A Hollywood star was browsing on the same floor. He was wearing ripped jeans, a stained T shirt, and grimy flip-flops. It’s a sad day in Hollywood when a lowly screenwriter—“shmucks with Underwoods,” said John Ford Jack Warner—presents a more refined image than a million dollar an episode TV star. Anyhoo, the following pictures stand witness to great stars who, right down to their spectacular footwear, understood and cultivated the art of high glamour.